In 1826 a letter was written by John Hollest esq. to his MP G Jervoise of Herrriard House asking for his support for a diversion of the turnpike away from Hindhead and instead through Farnham to Petersfield. 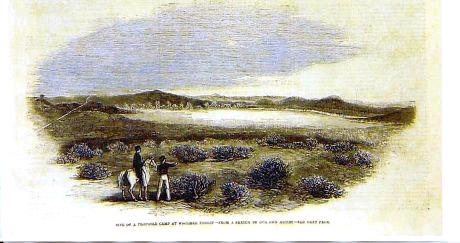 The ascent over Hindhead had long been an impediment to travelling and he suggested this shorter and flatter route. This would pass from Farnham through the Forests of Alice Holt and Woolmer and one or two of the Inclosure portions of the Forest. Therefore application had been made to the Commissioner of Woods and Forests and a plan submitted for his approval. 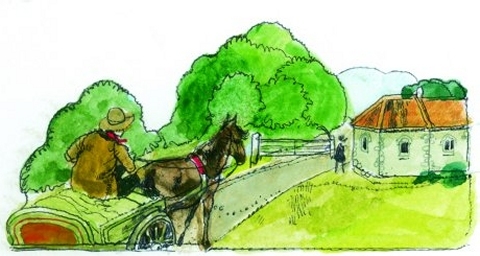 This was given and the Turnpike Road was shortly begun. The new route allowed easier access to the hop poles grown in the forest and required by the hop fields of Farnham and also a better route to Portsmouth. A toll-house was built to the north of Bordon at Sleaford and the next one in the south was at Greatham. The one at Sleaford was a stone, one storey building which after a number of years acquired a two storey tin extension. 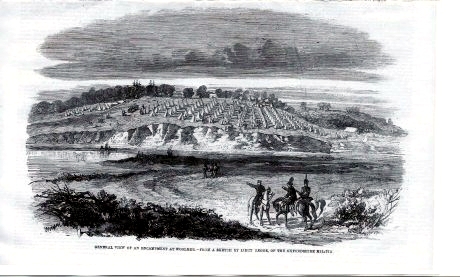 In 1863, the War Office purchased 1602 acres in Bordon and Longmoor for military training. Two camps were created at Longmoor (1900) and Bordon (I903). The 'Longmoor Loop' rail-link to Bentley was opened in 1905. It closed to passengers in 1957 and the army in 1969. Victoria and Albert visited the troops in 1859 and George V in 1910. In 1865 Sir Roundell Palmer, Attorney General to Gladstone bought Blackmoor Estate and he later became the First Earl of Selborne. He hired Alfred Waterhouse, architect of the Natural History Museum to design a model estate. The familiar Blackmoor apple orchards date from the 1920s. Sydney and Beatrice Webb ,founders of Fabian Socialism lived at nearby Passfield. The Parish of Whitehill was created in 1928, carved out of Selborne and Headley. Whitehill is now the 2nd largest town in East Hants.